LOVE OUR PRIESTS Prayer Group invites you to join us for a special Mass followed by an informal potluck honoring Fr. 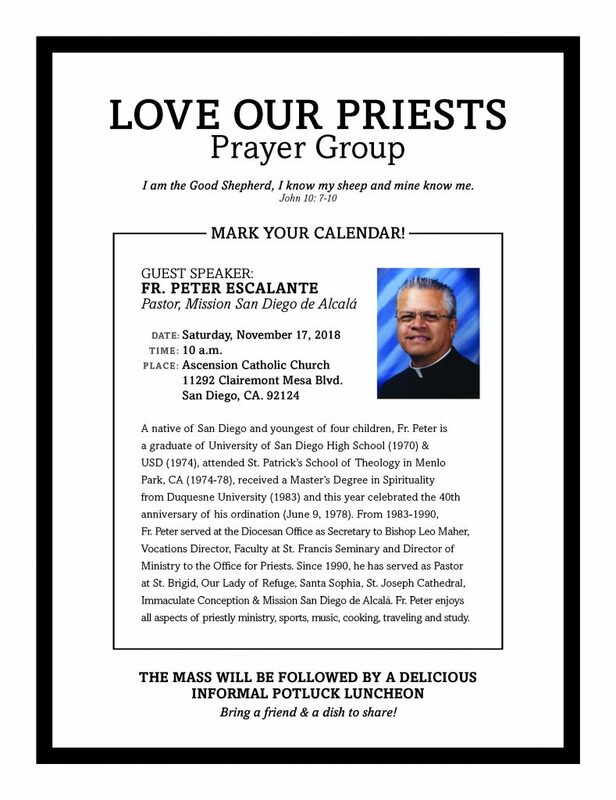 Peter Escalante (Pastor, Mission San Diego de Alcalá) on Sat, November 17 @ 10am, Ascension Catholic Church, 11292 Clairemont Mesa Blvd., SD 92124. Bring a friend & a dish to share! A native of San Diego and youngest of four children, Fr. Peter is a graduate of University of San Diego High School (1970) & USD (1974), attended St. Patrick’s School of Theology in Menlo Park, CA (1974-78), received a Master’s Degree in Spirituality from Duquesne University (1983) and this year celebrated the 40th anniversary of his ordination (June 9, 1978). From 1983-1990, Fr. Peter served at the Diocesan Office as Secretary to Bishop Leo Maher, Vocations Director, Faculty at St. Francis Seminary and Director of Ministry to the Office for Priests. Since 1990, he has served as Pastor at St. Brigid, Our Lady of Refuge, Santa Sophia, St. Joseph Cathedral, Immaculate Conception & Mission San Diego de Alcalá. Fr.  Peter enjoys all aspects of priestly ministry, sports, music, cooking, traveling and study.